Paradise Watersports - Panama City Beaches Premier Parasailing Co.
Paradise Watersports would like to welcome you to Panama City Beach, Florida. While on vacation, don’t miss the opportunity to experience the only peaceful birds-eye view of Shell Island and Panama City Beach. PARASAILING!!!! Paradise Watersports offers our guests the option of how they prefer to experience parasailing. You can choose to fly off the beach located behind your resort; wait times may vary or BOOK ONLINE to capture a birds-eye view of Shell Island. See this pristine, barrier island in its entirety, from hundreds of feet up. 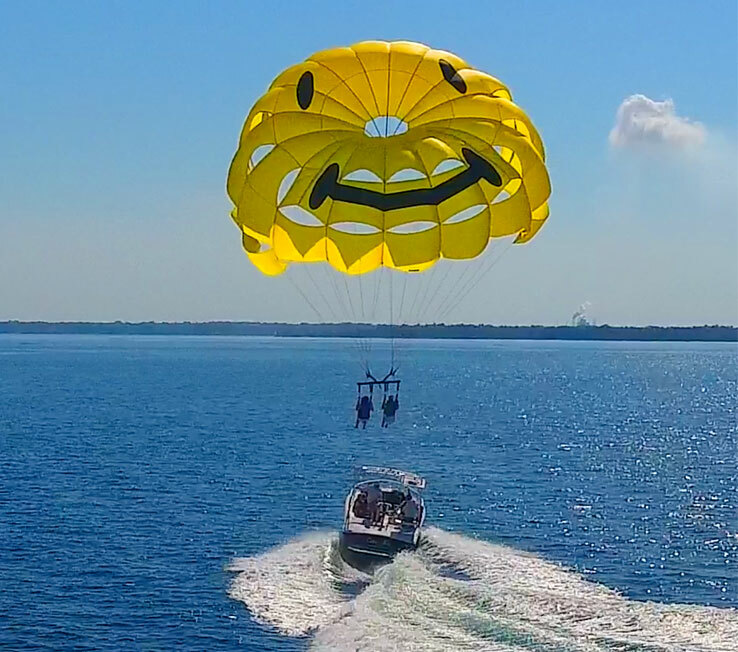 To sign up to go parasailing directly off Panama City Beach walk down to the kiosk behind your resort and the attendant will get you signed up. If you prefer to schedule your parasailing experience, The Island Awaits You. Are you looking for the ultimate adrenaline rush while on your vacation? If so then our Banana Boat rides are for you. Banana Boat rides are fun for all ages and guaranteed to cool you off on the hot summer days. 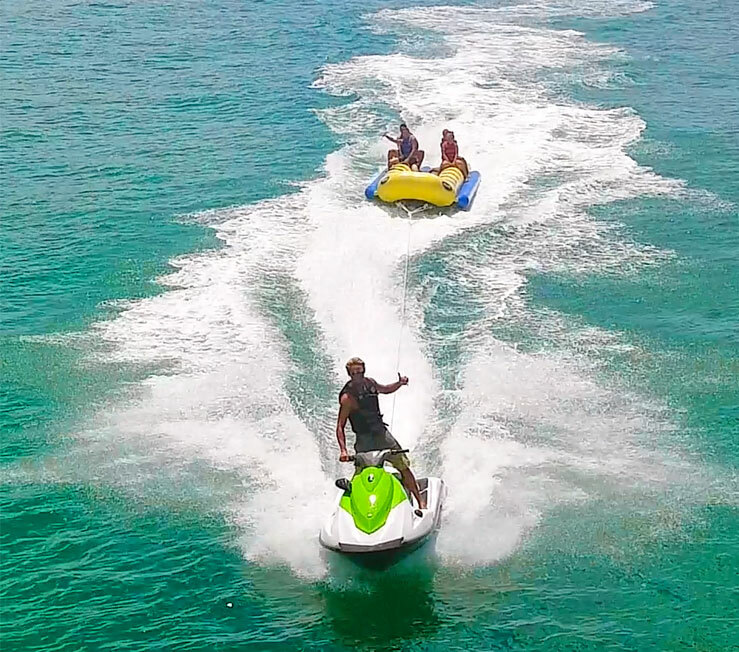 Each inflatable banana boat can hold up to 6 passengers. You and your family zoom across the Emerald Green Waters of the Gulf of Mexico trying your best to hold on. Your ride will begin and end on the beach. For those skilled enough or brave enough, we recommend you try riding it like a pro bull rider with one hand in the air. While you’re here, don’t miss an opportunity to see the panoramic views only parasailing can provide. Our trained and experienced crew will make your parasailing experience truly memorable. You can sign up for your parasailing ride on the beach behind your resort. We handle all your photos and also record all rides using a go pro camera. 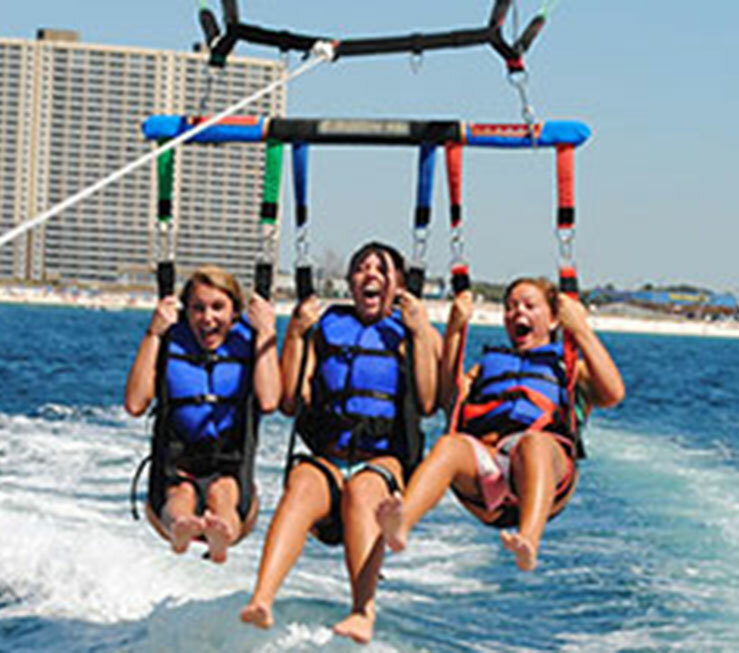 A trip to Panama City Beach is not complete without parasailing with Paradise Watersports. Click below for more information and a list of our locations. We look forward to seeing you on the water! While your parasailing with Paradise Watersports, leave all the lasting memories to us. 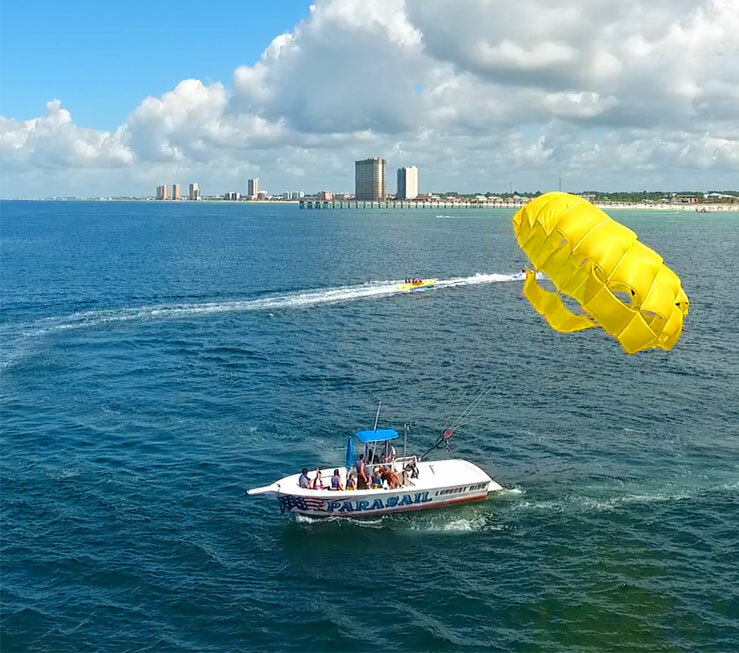 We capture every breathtaking moment of your parasail ride. Using our state of the art mount, we are able to catch every facial expression as you soar thru the air. Please visit our photography site to download or view your your memories.